This statement is heard more often than you might imagine and causes medical providers to shudder nationwide. The misconception that going to a medical provider should only be used when someone has an acute illness is one that proves difficult to correct in today’s society. 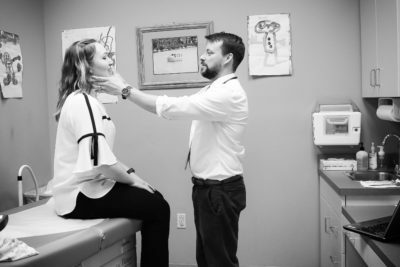 Hampton Family Practice physicians know that taking the time for an annual physical can keep patients in control of their health and guide them to make the best decisions for their future wellness. Why would someone need to go to the doctor who isn’t sick? Very simple – for routine physical exams. This examination is an opportunity for a medical provider to evaluate your current health status, as well as take a thorough medical history to determine what problems you may be at risk for developing. The exams include a physical examination by looking, touching and listening and often some screening laboratory tests (blood tests). These can help identify developing diseases that may be asymptomatic, such as testing glucose levels for diabetes screening. Vital signs, like height, weight and blood pressure, are often helpful at pointing out some “silent” underlying issues, like hypertension and obesity risks. These visits are also perfect situations to catch up on those needed vaccinations or to perform some specialized screenings, usually determined by a person’s age. Yearly physical exams, or preventive care visits, are typically covered on insurance plans and smartly so. It is estimated that 85 percent of illness and disease can be prevented by routine physical exams and screenings. While this is good for your body, it is also good for your wallet. Preventive medicine helps cut down on the potential costs of medical problems and diseases you would not otherwise discover until your ‘sick’ visit. Employers and insurance companies are working to embrace this potential to save money in healthcare costs by offering incentives and rewards for each preventive visit or test completed. Some employers may only consider hiring applicants who have up-to-date physical examinations or hire them with physical exam requirements to be met in a timely fashion. Physical examinations can be performed in a primary care office. There are also specialized offices that provide work-related health care that provide examinations required for a particular job. A screening physical is usually affordable to those who may not have insurance and referrals are not necessary, leaving access to this preventive care for everyone. If you don’t currently have a primary care physician, it’s important to find someone you trust. Hampton Family Practice is a full service family medical practice that has been serving the Hampton area for more than 40 years. We provide comprehensive family medical care, including annual physicals for patients of all ages and condition. Contact us at (757) 838-6335 for an appointment.